How to delete all voicemails on iPhone permanently? This guide shows you a safe way to clear voicemail from iPhone X/8/8 Plus/7/6/6S to protect your privacy. Every day we receive voice mail messages through the iPhone. In order to prevent these voicemails from piling up and eventually occupying too much of our iPhone storage. We all choose to delete voicemails that have completed listening. But did you know that sometimes you think that the voicemails are deleted but they did not actually disappear? Do you want to permanently clear voicemails on iPhone to prevent the disclosure of personal information? In this guide, we will provide you with two ways to delete iPhone voicemails. 1. Tap on the Phone app to launch it. 2. Go to the bottom right corner to tap on the Voicemail button. 3. Find the voicemail that you want to remove. Select it or swipe right to left to reveal the Delete option. 4. Tap on the Delete option and the selected voicemail will be removed from your iPhone successfully. 3. Click on the Edit button. 4. Select all the voicemails you want to delete. All the selected voicemails will be marked with blue checkmarks. 5. Go to the bottom right corner to choose the Delete option, then, all the selected voicemails will be wiped out. Note: You should know that the manually deleted voicemails on iPhone via the two methods above can be found and recovered back with some professional iPhone data recovery programs. If you want to delete all voicemails on iPhone permanently, you can keep on reading on the Part 2 in the below. 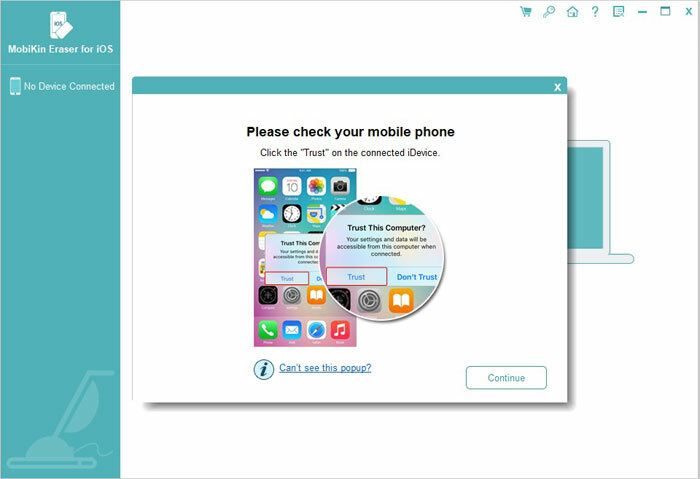 If you want to remove all voicemails from iPhone permanently with zero possibility of recovery, you can depend on the reliable iPhone data cleaning software - iPhone Data Eraser. It features with powerful ability to delete all private and sensitive data from iPhone X/8/8 Plus/7/6, including contacts, voicemails, messages, call history, photos, videos, music, calendars, etc. Plus, it scans your wanted files and helps you remove them completely without any recovery possibility. iPhone Data Eraser also can clear junk files from your iPhone, iPad and iPod touch to free up more storage space and optimize your phone system. - Clean up private data with simple clicks and free up spaces on your iDevices. - Compatible with both iOS and Android device. Step 1. Download, install and launch the iPhone voicemail erasing software on your computer, then connect your iPhone X, iPhone 8 Plus or other iPhone devices to the same computer with a USB cable. To continue with the steps, you need to trust the computer firstly. Step 2. 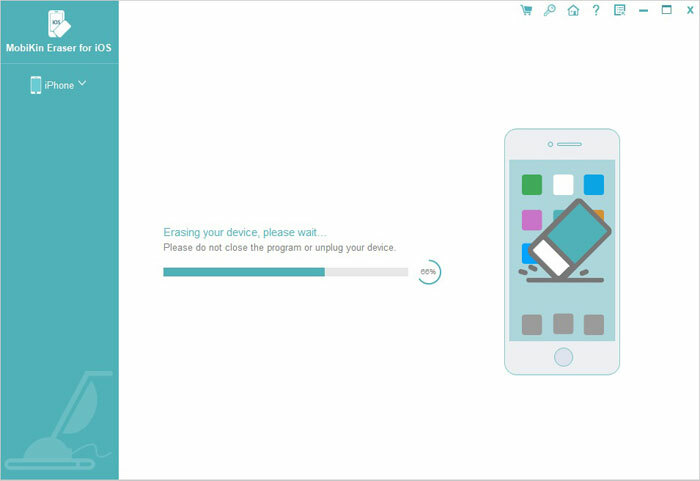 Choose the option of "Erase Private Data", and then the program will start to scan for all files on the connected iPhone. After the scan, all the scanned out file types that can be erased by the program will be displayed here in list. Step 3. Choose "Voicemails" category and view the detailed voicemails in the right panel. Now, you can mark the voicemails you want to remove from the iPhone and click "Erase Now" button to start the erasing process. Just get a brand-new iPhone X or 8 (Plus)? iPhone Data Eraser will be your best assistant to clean up and optimize your iPhone to make it work better. And it is also your good helper to delete data from your old iPhone before you put it on trade or give it to your friend. To learn more about the features of the newly updated iPhone Data Eraser, you can download it to have a try.